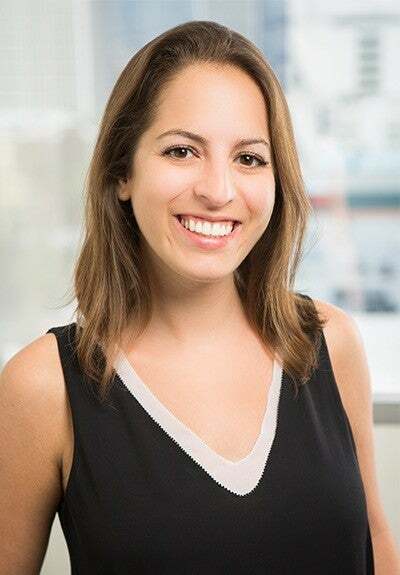 Shira Fine brings a decade of strategic communications experience to her clients at SKDKnickerbocker, where she helped launch the L.A. office. She manages several California public affairs and corporate clients and serves as Chief of Staff. Shira advises top corporations, technology companies, non-profits, and many high-profile individuals. She is a current participant in the Rautenberg New Leaders Project (NLP) at The Jewish Federation of Greater Los Angeles. Last year, in the vibrant community of Boyle Heights, there were angry rallies outside of a new coffee shop. The Los Angeles Times reported there were protest posters that read “White Coffee” (and included an expletive) and “AmeriKKKano to go.” Residents who defended the business were attacked with racial insults as well. Other small new businesses suffered similar attacks, bullying, racial-based accusations, and vandalism at the hands of local activists. On the surface, these businesses don’t seem controversial — they’re coffee shops and art galleries. But when is a coffee shop just a coffee shop? When is it the latest sign that the neighborhood you’ve lived in your whole life is losing its unique culture and becoming a place you soon won’t be able to afford? When we talk about revitalization or gentrification, is it an issue of race or economics, or both? Where is the line? These are some of the questions that residents, business owners, and city officials are wrestling with during this time of change. In March, our Rautenberg New Leaders Project (NLP) cohort met in Boyle Heights for a conversation about these questions and a deep dive into the ripple effects of a rapidly changing neighborhood. The evening began with a tour of the neighborhood led by Steve Sass, President of the Jewish Historical Society. We learned about the neighborhood’s Jewish history and how the community has transformed over the years. Boyle Heights used to be the place people came to when they weren’t allowed to buy or live elsewhere. When Jews and other minority groups were redlined from most communities in Los Angeles, they built homes and synagogues in Boyle Heights. During the tour, we discussed the history of the Breed Street Shul, saw Mickey Cohen’s childhood home, and walked past the now-closed Zellman’s Menswear and original Canter’s Delicatessen. Over time, as housing restrictions lifted, the Jewish community largely moved further west and the demographics of Boyle Heights changed. 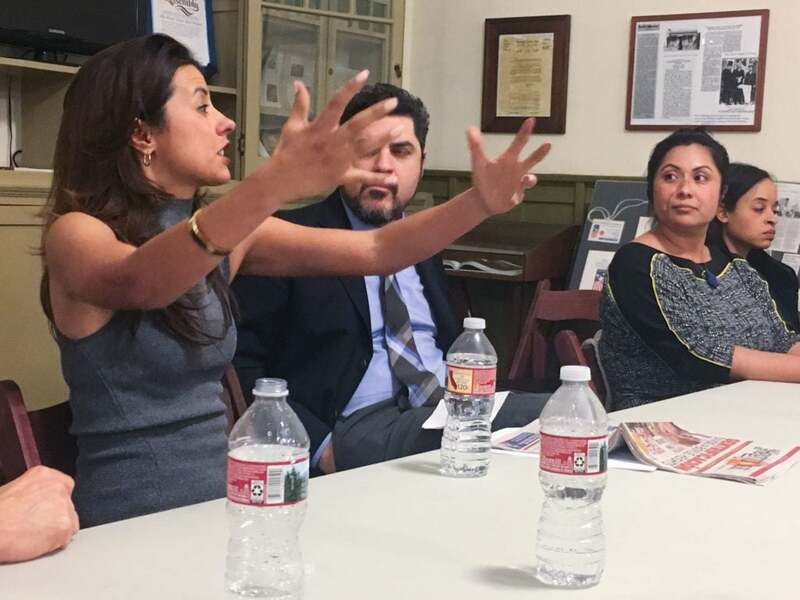 After the tour, we moved on to a panel discussion and breakout sessions with Mr. Sass, Azusena Favela, Programs & Operations at LURN, and Sara Hernandez, Attorney at DLA Piper, where we learned about how gentrification started in Boyle Heights, the community’s reaction, and potential solutions to displacement. 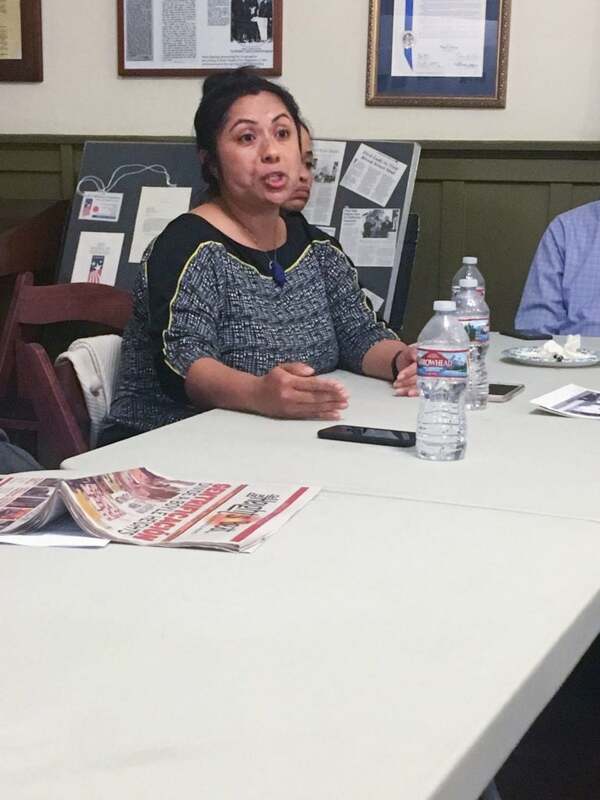 For many years, the community of Boyle Heights dealt with rising rates of violent crime and received minimal resources from the city. Housing prices and rents remained affordable, but the neighborhood lacked amenities. Recently, the neighborhood has experienced many improvements, making the community safer and more livable. But there have been consequences to these developments. As the neighborhood improves, it has become more appealing to people the longtime residents consider “outsiders.” This has led to increased rents and, once again, a changing neighborhood demographics. As Los Angeles experiences a housing shortage, people from all over the city are willing to move into new neighborhoods, like Boyle Heights, as they chase lower prices or more space. This shift has led to community anger and violence toward new residents and businesses that I mentioned above. As one community displaces another, the old residents risk losing their cultural connections to places and their established social networks. If they move, their new communities may lack the social services, community resources, support, and grassroots nonprofits they need. And sometimes, they become homeless because they have nowhere else to go. We can’t go back in time and remove the redlines that contributed to today’s inequities and prevented certain people from accumulating wealth for generations. We can’t stop people from moving into new neighborhoods, and we can’t prevent coffee shops and art galleries from opening. Educating current residents on how to achieve home ownership, how much landlords can raise their rent, what you can demand as a renter, and how to make sure you’re getting what your house is worth (if you choose to sell). Informing communities about how to keep housing affordable. More designated affordable housing might not be the best option, and residents can benefit from stricter rules around rent stabilization. Lobbying for legislative changes. This can range from providing bonuses to developers for increased density projects to ending the predatory “cash for houses” advertising. Teaching businesses how to adapt to changing neighborhood demographics by appealing to a wider range of clientele. Los Angeles is a vibrant and diverse city that faces big, interconnected problems. As we dig into these issues each month through NLP, I hope that we will be able to use our diverse range of experiences and positions in Los Angeles civic life to gain a deeper understanding of these topics and potentially foster new energy to develop solutions. For over 25 years, The Rautenberg New Leaders Project (NLP) has provided unique opportunities and training to elevate the next class of outstanding Jewish civic leaders in Los Angeles. 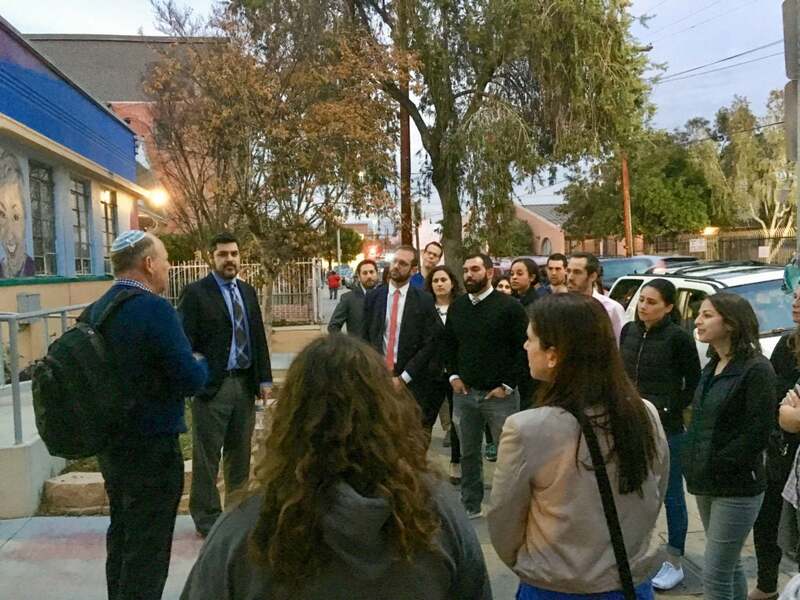 With a commitment to the Jewish tradition of social responsibility, NLP empowers participants to hone their leadership skills and gain a deep understanding of the diverse fabric of Los Angeles, while working with elected, civic, and community leaders to address some of the most critical challenges facing our city. To learn more about NLP, visit www.YAJewishLA.org/NLP or e-mail NLP@JewishLA.org.